Here lies a record of the great journeys, conflicts, and victories of many. One may click on the titles to view the actual thread. 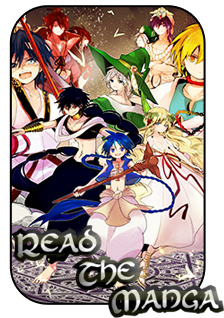 A new era is here when a new Magi decides to summon a buried ancient power. No one quite understands what this power is, but many chase after it. Following the Dungeon being raised the Minister of Balbadd,Mirah Al-Jabiri , informs the people but doesn't quite pursuit it. However she seems as if she wants to negotiate just in case the power lies in the wrong hands. Following the Dungeon being raised the Emperor of Reim, Claudius Augustus, fears that power will be needed in the coming years. Therefore he sends the Fanalis Corps to scout out this hidden power known as a Dungeon. Gao Zu, a power hungry emperor of the Zou empire heres about this power and immediately seeks to pursuit it. He wants the power to rule the world, and prepares for him and his troops to mobilize toward it. Ramses Massri, the Pharaoh of Heliophat's reaction is still quite unclear. However he send "Amun-Ra" to the front lines to handle this issue. It is quite clear he is concerned about this power too. The Chancellor of Magnostadt, Ephraim Alharizi, is greatly displeased because this great power that has appeared is in his nation. He wants the Dungeon to be ignored, but also wants it to be known that any country that steps into their territory will be pummeled. Asiak is eating when she hears about this dungeon. She decides that the Imuchakk are too powerful to pay attention to the affairs of man. Sanarya sees the Dungeon and cannot believe that it has raised. Therefore she comes to the conclusion that she isn't the only Magi. She decides she must warn someone, but who? The two Magis encounter each other and neither of them like each other. They both debate on whether the world will be ruled by evil or light. Basil inform the other Magi that she better open up her own dungeon or only dark kings will rule the world. Basil decides it is time to raise another Dungeon. His hopes in raising the Dungeon is for it to fall in the hands of a Barbarian, yet it is up for grabs to anyone. Sanarya decides two can play at the game of raising dungeons. Sanarya sends a message to all kings asking them for brave and good warriors conquer the Dungeon so the world does not fall into despair.